The Old Dining Hall ('ODH'), was originally the Schoolroom. 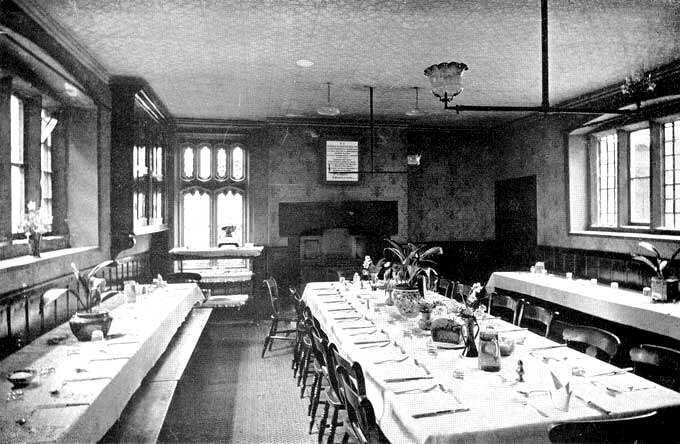 This photograph, dating back to around 1890, shows it set out in readiness for a meal: note the gas lighting above and the tablet to the recently departed Headmaster, Rev Alfred Easther (1848-1876), on the far wall. The stained glass window to the left of the fireplace was put in at Easther's own expense in 1859.